The Ontario (Calif.) Fury converted two of three penalty kicks to defeat the Tacoma Stars in a Major Arena Soccer League match at the accesso ShoWare Center on Friday night. The Kent-based Stars dropped to 10-10 on the season. The Fury is 9-11. A Mike Ramos’ goal brought the Stars even at 1-1 with 9:51 left in the half on an assist from Chase Hanson. The Stars took a 2-1 halftime lead on Nick Perera’s 28th goal of the season on a Lamar Neagle assist. For Neagle, of Federal Way, and a former Seattle Sounder, it was his first career MASL point. Anibal Echeverria tied it for the Fury with 11:40 left in the third, but Derek Johnson’s goal with 1:33 on the clock gave the lead back to the Stars, 3-2. In the fourth, De Bray Hollimon and Jermaine Jones scored back-to-back Fury goals for a 4-3 lead with just 3:48 to play. Jonathan Greenfield found Ramos for his second goal of the game with a minute remaining to send the match to overtime. After a scoreless 10 minutes it went to penalty kicks, and it was all Ontario at that point. Juan Carlos Gonzalez converted on the first attempt for the Fury, followed by unsuccessful tries by Tacoma’s Joey Gjertsen and Perera as well as Ontario’s Maicon De Abreu. Echeverria won it for the Fury with his PK. Ontario took the season series 3-2. First quarter – none; penalties – none. Second quarter – ONT, Quiroz (Nunez) 0:20; TAC, RAMOS (Hanson) 5:10; TAC, Perera (Neagle) 12:01; penalties – TAC, Peterson blue card (tripping) 1:20. Fourth quarter – ONT, Hollimon 3:43; ONT, Jones (Toth) 11:13; TAC, Ramos (Greenfield) 14:00; penalties – none. Penalty kicks – ONT, Gonzalez; ONT, Echeverria. 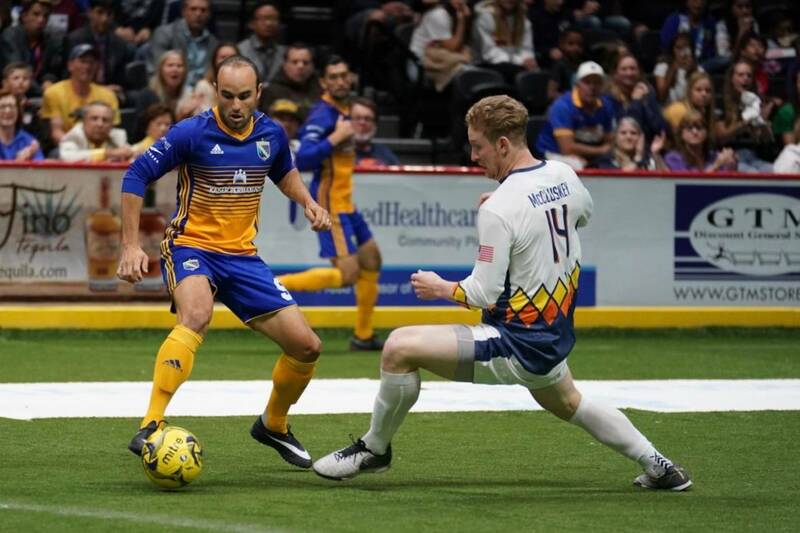 The Stars’ final regular-season home game comes on Sunday, March 31 against Landon Donovan and the Pacific Division-leading San Diego Sockers on Fan Appreciation Night. For tickets, call 1-844-782-7784 or go to tacomastars.com.